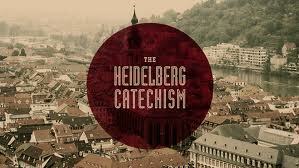 Our friend over at the 3 R’s blog is doing a year-long series on the Heidelberg Catechism. In this post he points out resources concerning the 450th Anniversary of the HC, that we thought we would share with you. As we continue our year-long series commemorating the 450th anniversary of the Heidelberg Catechism (1563-2013), our post today is going to be a smorgasbord of items. In the last week some other things connected to the “HC” and its 450th anniversary have come to mind and to my attention, and I want to get the notice of these things out there (before they leave my mind or I lose my mind! ).